The soft feel & smell of real trees kitties love to scratch! The last scratching post you’ll ever have to buy. Sets up in minutes with a 9/16" socket wrench. Post & base are shipped in one box. 1. Stand post on end with the pre drilled hole facing upward. 2. Take base with padding facing upward and center over hole on post. 3. Insert lag bolt through hole on the base into post and hand tighten. 4. Take wrench and tighten until secure. Do not over tighten! 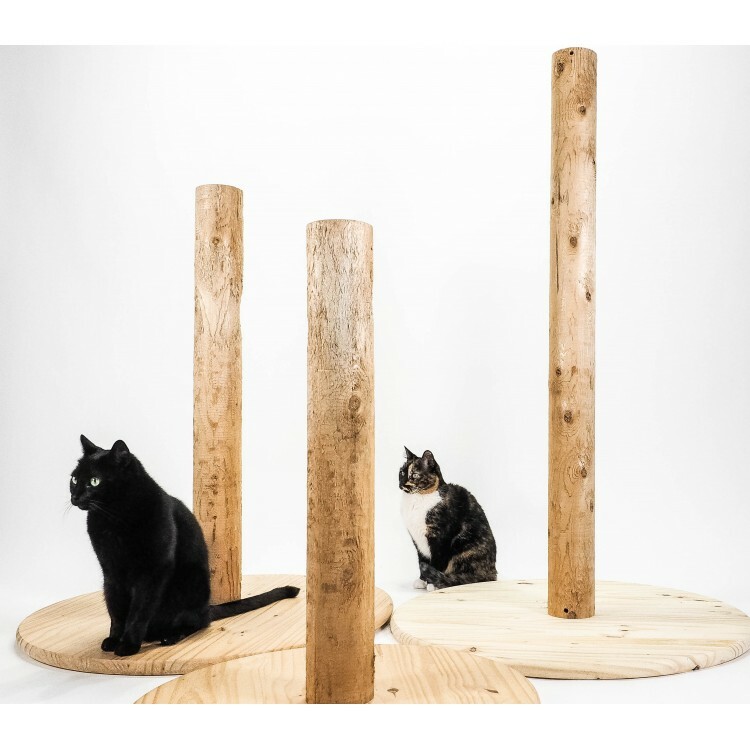 Notice: All models come with a hefty 1" inch thick natural soft pine round base, with a 4" inch round Natural Eastern White Cedar Scratching Post. All our posts are real trees, farmed trees. Trees are imperfect by nature, each post is unique unto itself, no two are alike, they have cracks, knots, slight variations, and split while drying out. Kitties prefer their trees this way. 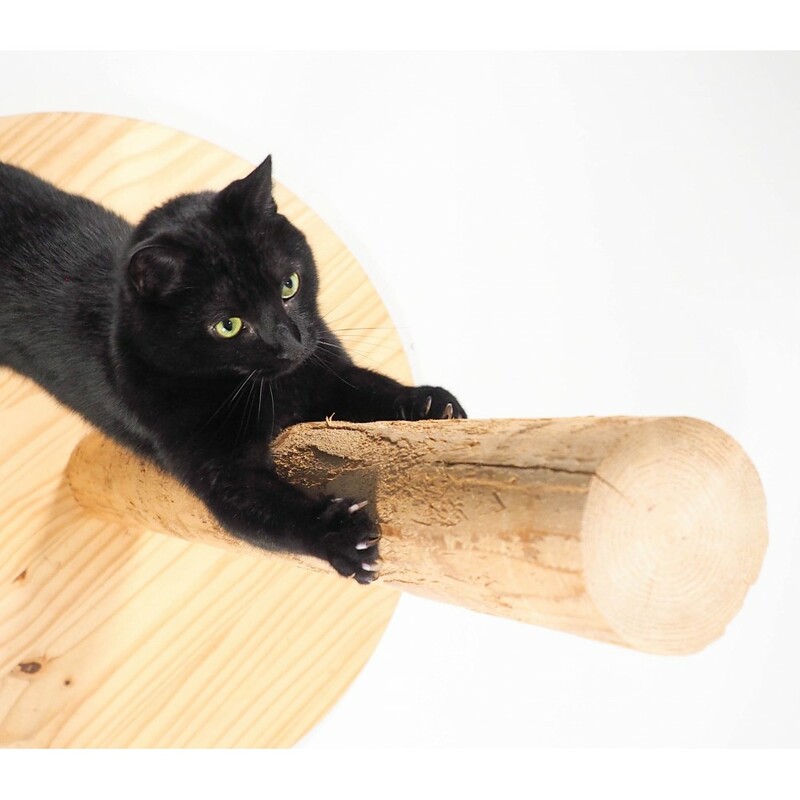 The Shoo-Kitty prototype post is 20 years old, and still going strong, scratched daily by the 2nd generation of kitties.